From 1,000 Candidates To 1. Has Disney Found Its Perfect Lead Actress to Play Hua Mulan? Ho ho ho ho! Consider this wonderful announcement an early Christmas gift bestow to all of you (*cues drumroll*). Fans of the animated classic movie can kiss their worries goodbye regarding the lead casting. Why is that you may ask? That is because (wait for it….) 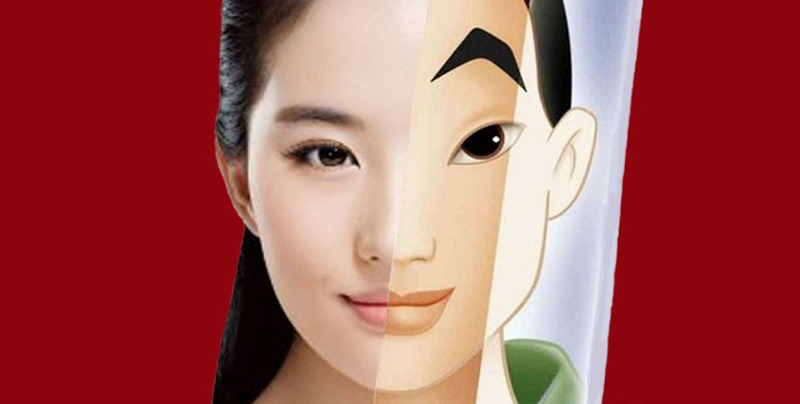 it has been confirmed recently that Chinese actress, Liu Yifei (Crystal Liu) is to play as the movie’s protagonist! (*ba dum tss*). The decision was made after receiving thousands signed petitions online requesting for an Asian actress to play the titular role (because of all the whitewashing in Hollywood). It is only befitting to cast an ethnically Chinese woman to play the role. Many directors in Hollywood until today however, still fails to grasp this simple concept of hiring actors who culturally fit their role (take Ghost in The Shell for example). The casting directors were not only looking for a Chinese actor, but also someone who has acceptable martial arts and English speaking skills. Being among the 1,000 hopeful candidates, the Chinese actress was chosen as she matches what they are looking for. Liu is able to converse in English after having lived in New York at the age of 10 for four years before returning to China to pursue a career in acting and modeling. She also got her Hollywood breakthrough acting with The Forbidden (2008), Outcast (2014) and will star in Inversion (2018). Not only that, she is familiar with the action genre. Having starred in action packed period drama series like Chinese Paladin (2005) to The Return of the Condor Heroes (2006), she is used to all the actions. Her latest film, Once Upon a Time which was released four months ago also requires some action scenes as well. Though her singing days are over, that skill might come in handy since there was singing involved in the Disney movie. She had a brief singing career when she was a teen, having signed with Sony Music Entertainment and was sent to Japan for a singing and dancing program for a year. Liu has also released a Chinese and Japanese album. It is unsure whether or not there will be any singing in the live action version as it was previously reported to have none. Being one of the most popular actresses in China at the moment with a successful film and television career with her rich acting experiences, she is sure to help the Mulan adaptation appeal the Western and Chinese audiences! Mulan tells the classic tale of a young woman disguised as a man who joined the army to defend her country and family. Directed by New Zealander Niki Caro, the movie is slated to be out in 2019. Stay tuned for more news updates regarding the live action movie.